W. W. Norton & Company, 9780393240740, 344pp. Humans have "subdued 75 percent of the land surface, concocted a wizardry of industrial and medical marvels, strung lights all across the darkness." We tinker with nature at every opportunity; we garden the planet with our preferred species of plants and animals, many of them invasive; and we have even altered the climate, threatening our own extinction. Yet we reckon with our own destructive capabilities in extraordinary acts of hope-filled creativity: we collect the DNA of vanishing species in a "frozen ark," equip orangutans with iPads, and create wearable technologies and synthetic species that might one day outsmart us. 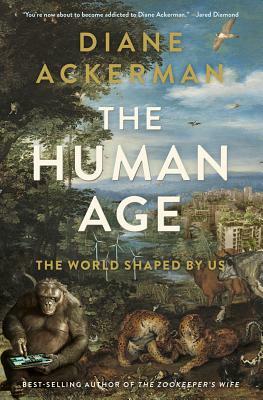 With her distinctive gift for making scientific discovery intelligible to the layperson, Ackerman takes us on an exhilarating journey through our new reality, introducing us to many of the people and ideas now creating--perhaps saving--our future and that of our fellow creatures.